Bob Olson is a writer who aims to inspire readers to improve themselves, follow their passions, and make the world a better place to live. The Magic Mala (pronounced mah-lah) is the story of Robby Robertson, a down-on-his-luck writer who realizes that he doesn’t know as much about life as he once believed. His desperate financial circumstances lead him to open his mind to new ways of living. After finding some mala beads, Robby is taken on a magical journey that teaches him the secrets to personal manifestation and happiness. 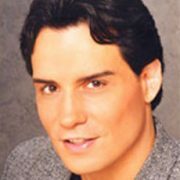 Bob Olson takes us on a magical, heartwarming and spiritually exciting journey, as we follow Robby on a universal quest for happiness that will change him and us forever. A truly life enhancing book that I am honoured and excited to be making into a movie. 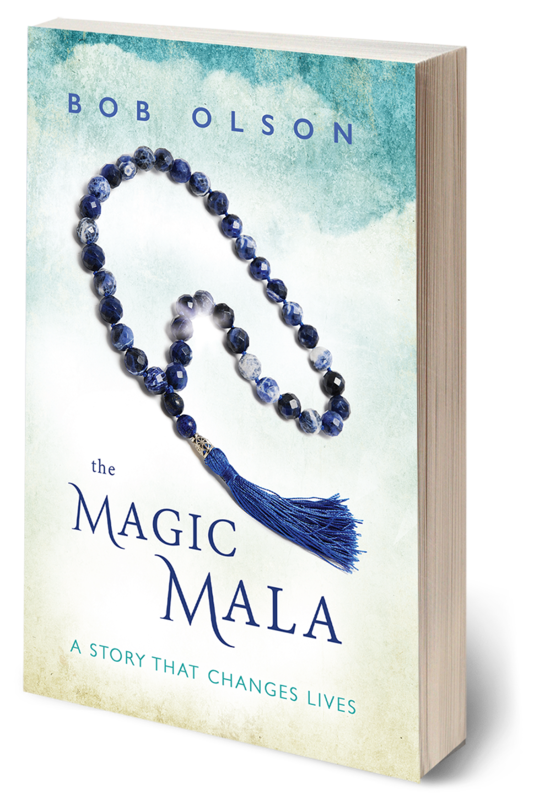 The Magic Mala is a book that caught me completely by surprise! I didn’t even know I was searching for the wisdom it imparts, but it immediately spoke to me. The characters are so engaging and relatable—not your typical spiritual guides but all the more genuine for it. In its pleasant and straightforward story lies a powerhouse of uplifting inspiration and authentic ways to find your place in the Universe. It’s simply life changing. I’m so thankful The Magic Mala found me! The Magic Mala is a special book about a couple who learns a life-changing lesson about the power of intention. Synchronistic events, messages from the other side, unexpected encounters with wise teachers, and a path to prosperity using an unlikely tool, will leave you inspired to use what you learn from this story in your own life, too! A magical tale, masterfully told. Good things come to those who know that no one has to wait, and Bob Olson shows us why in this superb, life-changing book. With simple wisdom, impish charm, and down-to-earth appeal, it argues that the life we seek is closer than we think. You’ll be convinced once you step through the door this tale reveals. 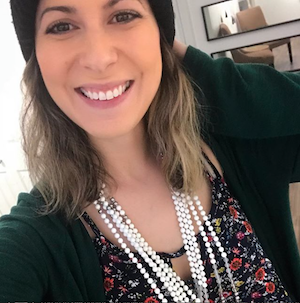 Get your own magic mala beads! 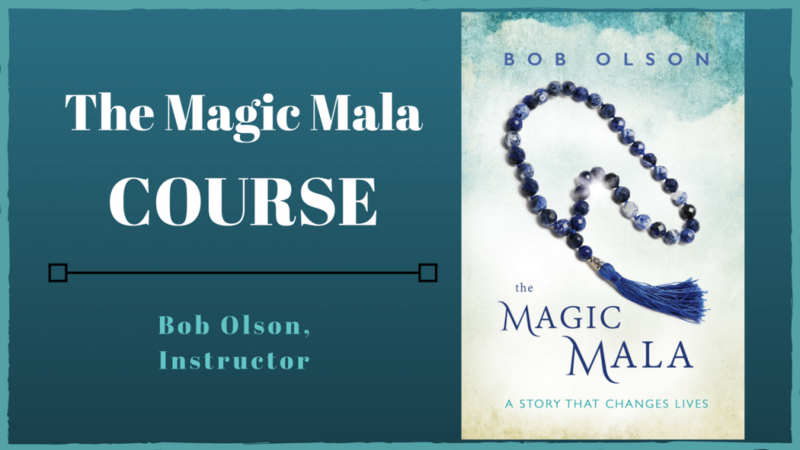 If you read The Magic Mala and loved the teachings in the book, this online course will further your understanding of that wisdom and help you implement it into your life. The author, Bob Olson, is your instructor. 100% privacy guaranteed – no messing around! 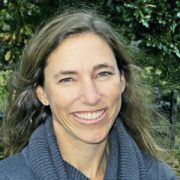 Discover the comfort, joy, and inner peace that answers about the afterlife can provide. Unlock the mysteries of life after death and explore the enlightening discoveries of a private investigator’s 15-year investigation. 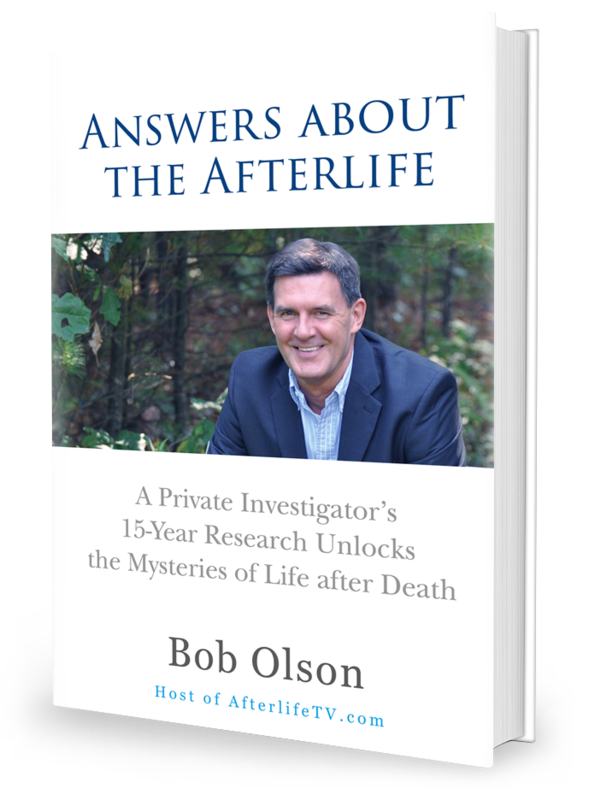 This book is a comprehensive resource answering 150 of the most crucial questions about what happens when we die. A Great Place For Beautiful, Well-Made, Powerful Energy Mala Beads! https://bobolson.com/wp-content/uploads/2019/03/HayleyMalaMaker-copy.png 303 300 Bob Olson https://bobolson.com/wp-content/uploads/2017/03/Bob-Olson_logo-1-300x110.png Bob Olson2019-03-08 11:33:532019-03-11 10:21:00A Great Place For Beautiful, Well-Made, Powerful Energy Mala Beads!